Christy Pichichero is Associate Professor of French and History at George Mason University. She earned her A.B. in Comparative Literature at Princeton University, her B.M. in Applied Music (Voice - Opera) from the Eastman School of Music, and her Ph.D. in French Studies from Stanford University. "The Military Enlightenment provides a refreshing angle in European cultural histories of war. Christy Pichichero unpacks the paradoxical questions that inspired the military enlightenment: how to wage war with greatest economy and efficiency but also how to wage war humanely, with compassion and civility. Pichichero’s work deftly shows how both great and lesser-known minds struggled to achieve these ideals in eighteenth-century France and how the military enlightenment continues to inform war ethics to this day." *FULL BIBLIOGRAPHY FOR THE MILITARY ENLIGHTENMENT - available soon. NOVEMBER 1, 2017 - It's here! 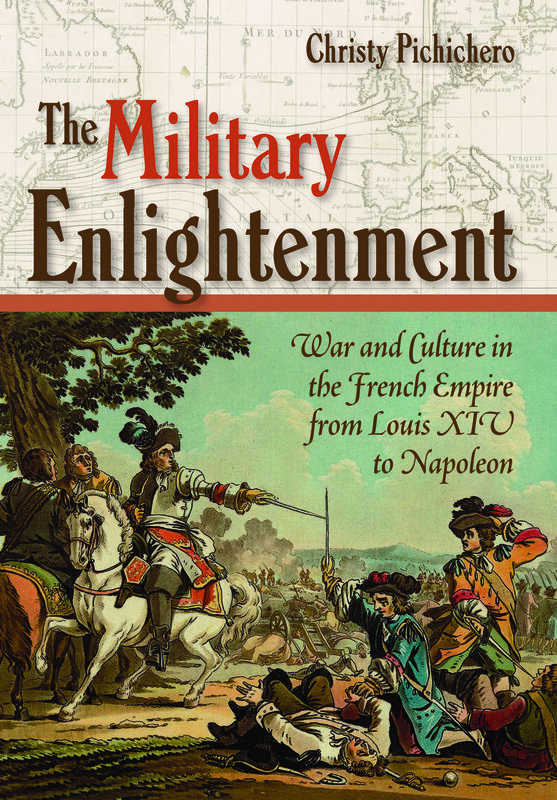 The Military Enlightenment is now available from Cornell University Press, Amazon, and other booksellers. Please send me an email if you would like to purchase a discounted copy from Cornell UP. NOVEMBER 8, 2017 - The Western Society for French History has just released the new mission statement! I am so proud and honored to have chaired the committee that created this statement, started the WSFH mentoring program, and inaugurated the conference plenary roundtable and workshop series. NOVEMBER 9, 2017 - Spring 2018 courses are open for registration at GMU! Check out the French program's offerings. I hope to see you in FREN 329, FREN 470, or FREN 570! DECEMBER 4, 2017 - The conference plenary roundtable on structural racism in French history and French historical studies has been released as an H-FRANCE salon. You can view the roundtable on my media page. MARCH 27, 2018 - ASECS friends! I am sorry, but the race and pedagogy workshop from the 2017 Western Society for French History conference is not available online. I will propose to organize one for ASECS 2019 in Denver! Please reach out if you want to talk about teaching race between now and then. Also, be sure to look for my and Emily Marker's H-FRANCE Salon on race, forthcoming in fall 2018. May 30, 2018 - The Military Enlightenment has been shortlisted for the Kenshur Prize for best book in eighteenth century studies. What an incredible honor. I am humbled and delighted! Available at Cornell University Press, Amazon, and other booksellers. Email me for a discounted rate.